"Creeping from the Corner Top Stub Personal Checks" product is already in your cart. Show off your elegant style with Creeping from the Corner Top Stub Personal Checks. 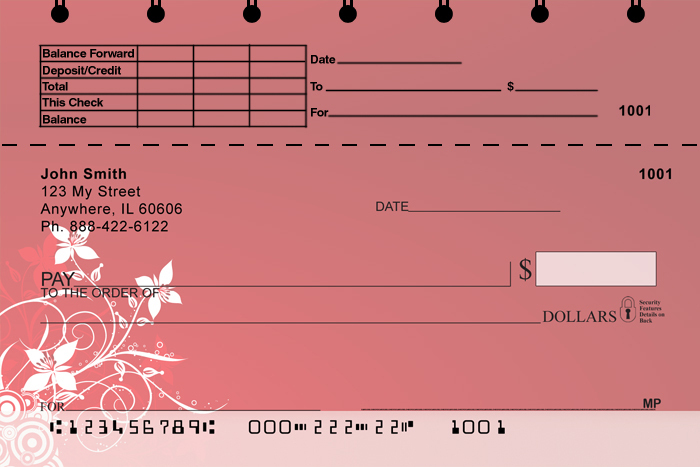 These checks feature white silhouettes of beautiful scrolling flowers and vines against colored backgrounds. Elegant and simple, they make a statement.